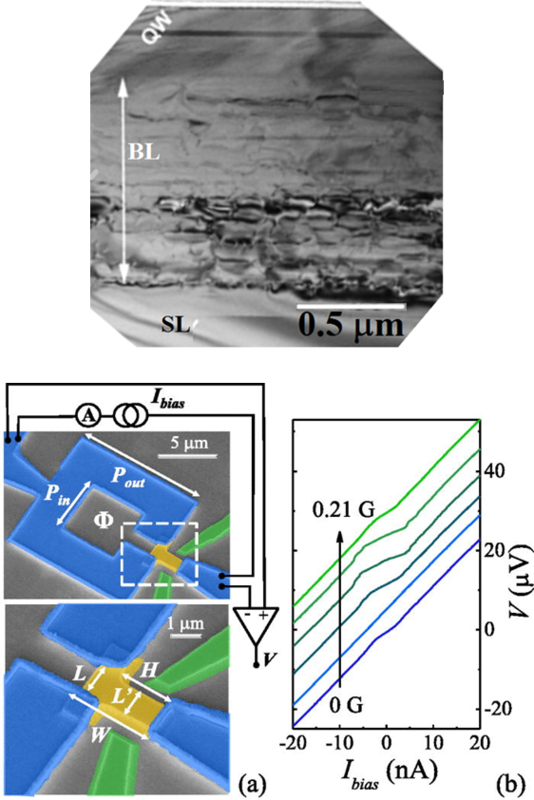 (InAs/)In0.75Ga0.25As / In0.75Al0.25As 2D electron gases, thanks to the small Schottky barrier, allow the observation of Andreev reflection phenomena in superconductor-2DEG hybrid systems. 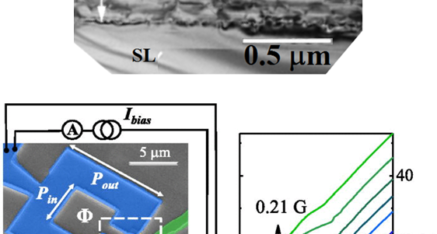 Furthermore, their large g-factor and Rashba coupling favor the fabrication of spin-dependent mesoscopic devices. Dislocation-free, metamorphic In0.75Ga0.25As / In0.75Al0.25As can be grown lattice-mismatched on commercial GaAs substrates (above). A superconductor-2DEG hybrid systems is shown below: (a) Device defined on a consisting of an InAs 2DEG T-shaped island (yellow) interrupting a Nb superconducting loop (blue). An external magnetic flux (Φ) is applied ^ 2DEG plane. (b) V vs. Ibias characteristics for some values of the magnetic field at 10 mK (Appl. Phys. Lett. 104, 242604 (2014)). We provide epitaxial samples for THz and Mid-IR Quantum electrodynamics in semiconductor microcavities, where ultra-strong coupling is realized between the photonic density of states and quantum well intersubband excitonic transitions. 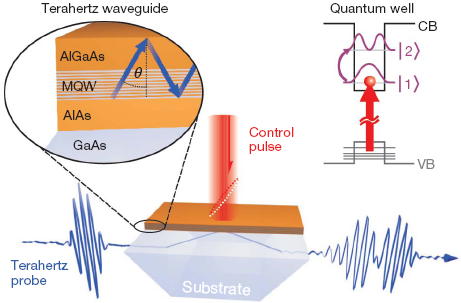 As an example, the figure shows a MQW structure in a planar waveguide, where intersubband transitions resonantly couple to TM-polarized mid-infrared cavity photons (Nature 458, 178 (2009)). 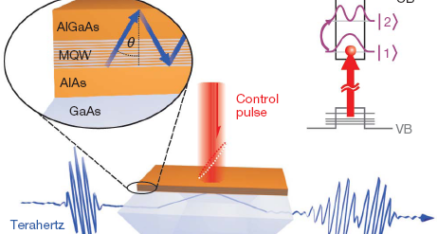 Such structures can find applications both in fundamental studies of parametric light amplification and condensation phenomena in electronic systems, and in ultrafast devices for next-generation optical information technology at unprecedented bit rates (ultrabroadband optical modulators).